When you are choosing a Millerville roofing contractor, many will gladly provide you with a list of references if they believe that their work speaks for itself. You should look for references that are a few years old, so that you can assess how durable the construction is. It can also be important to find a contractor that is the right fit for you. Choosing someone that you aren’t comfortable with can lead to problems. Conversely, be selective and choose someone with excellent references, a proven track record and expertise. If you hear significant or consistent negative things about a contractor from references don’t ignore them. While every one seems nice at first, go with the facts you hear and see they seem legitimate. At Daza Roofing, our Roofing Contractor wants to be your Millarville Roofer. Neglecting to have your Millarville roof repaired in a timely manner can lead to costly damages to your wallet and the overall look of your house even if the problem seems small or insignificant. Ensure your roof stays in good condition by contacting the roofing specialists at Daza Roofing. Our experienced Millarville roof repair experts will offer you an honest evaluation of the condition of your roof and what repairs may be needed. Having your roof repaired can be a dread some task for Millarville business and office owners. Our expert Millarville Commercial roofing contractors, will never advise you to get a new roof if it can be repaired. Understanding the importance of having a reliable and solid roof over you head is seldom needed to be explained. Ensure your new roof is installed correctly, on time and on budget: call the Millarville commercial roof installation experts at Daza Roofing today. When you are choosing a professional Millarville roofing contractor, many will gladly provide you with a list of references if they believe that their work speaks for itself. 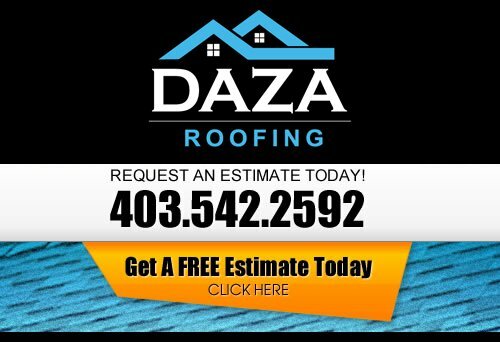 At Daza Roofing, we are thorough because we understand that if you’ve ever gone through the stress and expense of replacing your roof, the last thing you want to do is risk having to do it again when the next storm hits. If you are looking for a professional Millarville roofing company, then please call us today at 403-542-2592 or complete our online request form for a free estimate.